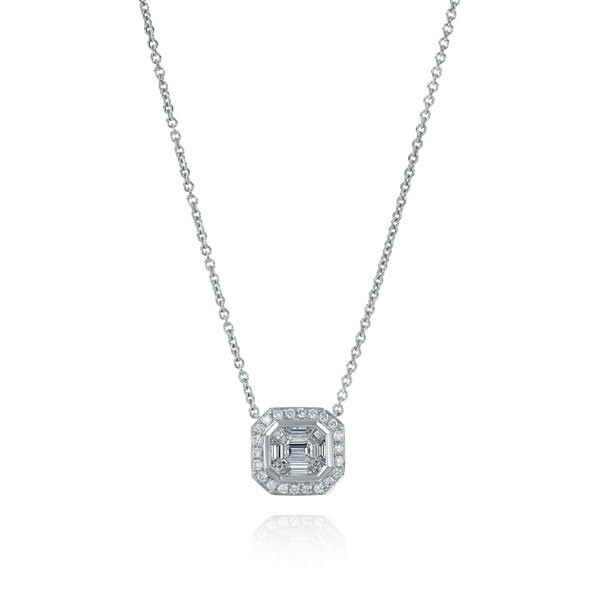 If the art deco look looks good on you, consider a sparkling rendition with this amazing diamond pendant. A stunning baguette diamond is set in 18kt white gold to create this pendant, and more white diamonds form a frame around it. The 16" link chain places this lovely piece at the perfect spot on your neckline. Enjoy a this shiny bauble at your next high class function.